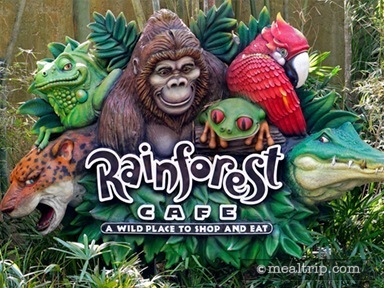 Located at the entrance to Animal Kingdom, the Rainforest Cafe® is a national chain restaurant that features an Amazon Jungle theme that fits in well with the nature of Animal Kingdom. Various plant and animals adorn the dining areas and every table seems to have something interesting to watch. There’s even a periodic “thunderstorm” that adds to the jungle atmosphere! The Amazonian named eats are actually quite American in nature, and should be familiar terrain for any hungry explorer. 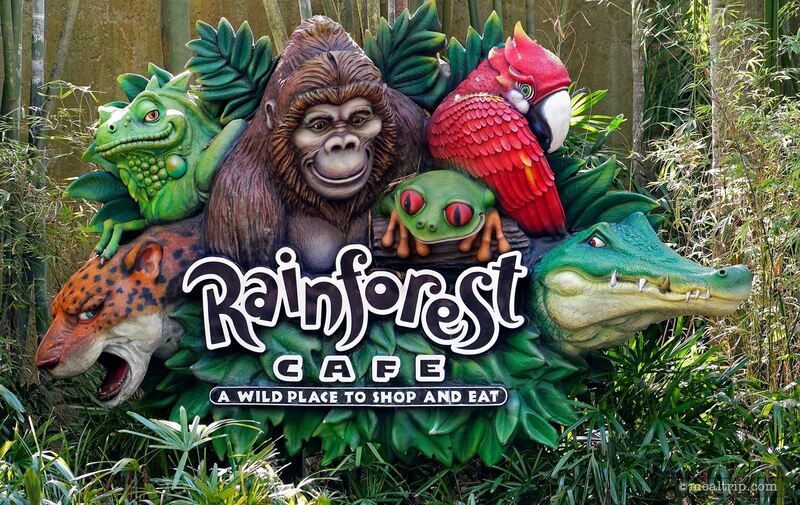 Selections like Lava Nachos, the Canopy Burger, Paradise Pot Roast and Maya’s Mahi Mahi and Coconut Shrimp, are just a few of the many offerings at Rainforest Cafe.